Quick wit and a positive attitude make this spy hero unique and likable. 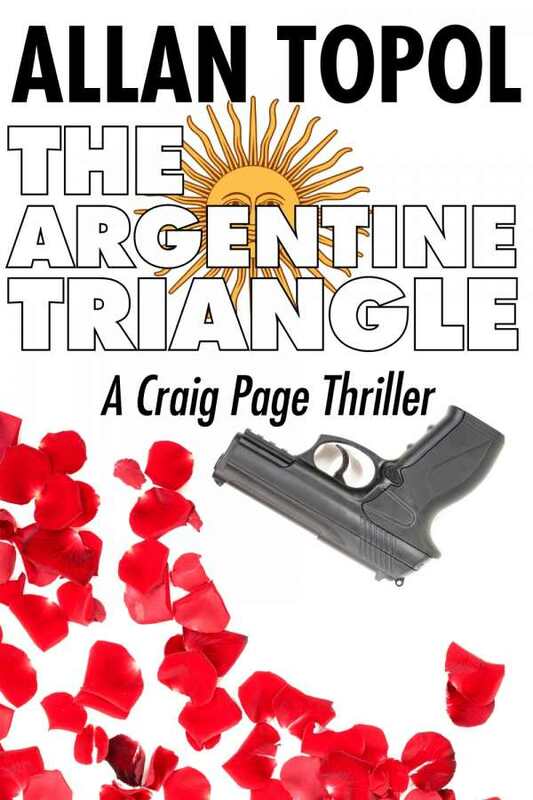 In The Argentine Triangle, by Allan Topol, we are treated to the further adventures of Craig Page, ex-CIA director. Topol takes Page on yet another exciting ride of international intrigue, this time focusing on the Dirty War in Argentina and a former colleague of Page’s who has disappeared in South America. Craig Page’s last adventure, The Russian Endgame, ended with Page losing his job and being forced to reinvent his face through plastic surgery. His close friend comes to him with a new job, and Page reenters the intrigue game, this time dealing with unrest in Argentina and a potential disaster if one of the generals comes into power. As Page tries to find his former colleague, Ted Dunn, and keep South America from falling into ruin, he must do everything he can to keep himself safe in this hostile environment. Craig Page is a fascinating character, and his personality elevates this book. When we initially meet him, he has forsaken his previous life to hide in plain sight after plastic surgery and a career change. He is the quintessential thriller hero, full of bluster and swagger, but he is also adept at finessing a situation. His quick wit and generally positive attitude make him relatable, even if he is a globe-trotting government agent. He is motivated strongly by friendship, with both the current director of the CIA and his former colleague who was kidnapped. The plot twists and turns at breakneck speed. Page is trying to derail Estrada’s takeover of the government as well as impede the arms delivery that Estrada is expecting from America. The rescue attempt at the end begins to strain believability, as the tragedy unfolds only in the final few pages. That said, you can’t fault the book for non-stop action, right up to the very end. This is the fourth in a series of Craig Page novels. It is helpful to have read the previous books, as some of the allusions and discussions are confusing without knowing what led to Page’s fall from grace. Even though there is some backstory initially, this book is far more satisfying if the others are read first. Fans of Tom Clancy and those who like some history with their intrigue will be drawn to Topol’s novel.